Drivers in general feel very comfortable driving very fast on the the types of streets favored by drivers and transportation engineers. 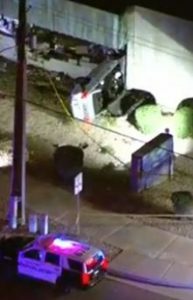 Very wide, straight arterial streets with lots of lanes and limited crossings are no doubt fueling the pedestrian fatality epidemic in Arizona. 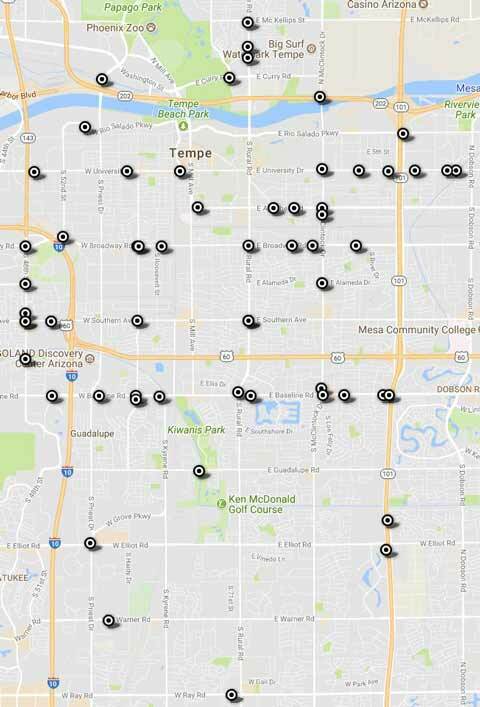 Here’s a map of fatal traffic crashes (most of them motorists) in Tempe(2010-16; excludes freeway); it’s no coincidence the vast majority of them occur along these wide arterial roads. An arterial road carries more traffic; but there are only a handful of them.